Viva Technology, Paris is getting better with every edition! 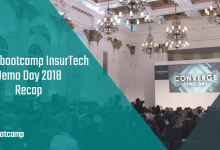 Now in its 3rd year, the tech conference brought together all of the world’s digital transformation players, including thousands of start-ups and dozens of international groups. 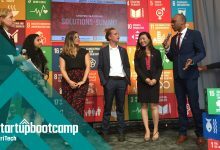 The debates highlighted the major trends that are shaping the world of tomorrow with key themes such as «Tech for Good» or how technology can be a positive force for society, the future of artificial intelligence, the latest marketing trends and the great leap forward of the African continent. Speaking of Africa, for the first time it featured a dedicated area showcasing African innovation, the Afric@Tech Zone. Delegates from AfricaArena such as Loudhailer, our local partner in Cape Town and representatives of tech accelerators including Zachariah George, Co-Founder of Startupbootcamp Cape Town gave talks on the issues and opportunities within Africa’s digital revolution. Zachariah George shared how we’ve been fostering innovation in emerging markets such as Africa. Our program in Cape Town received over 1000 applications for this year’s cycle! 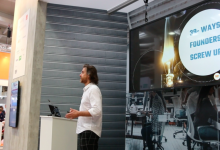 Raph Crouan MD Startupbootcamp IoT announced a partnership with Rolls-Royce. 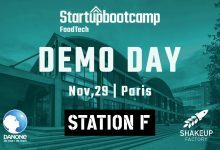 Startupbootcamp received a dedicated space in the investors’ area where our programs run 1-1 meetings with international startup founders and heads of innovation. The teams received product and investor feedback, and guidance on how we can support in the future. If you couldn’t make it this year, take a look at our programs who are currently accepting applications. 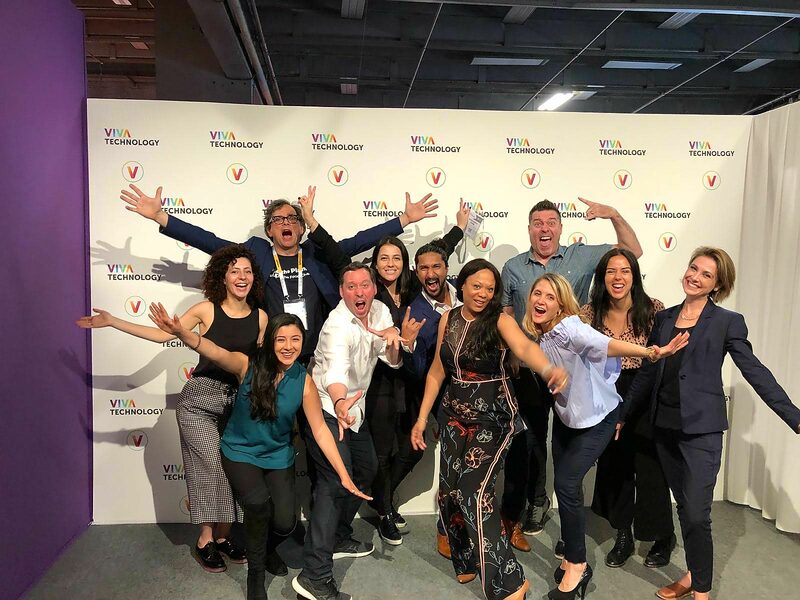 Diana Bareno, Investor Relations of Startubpootcamp Digital Health Berlin says: Vivatech has always brought us high-quality outcomes; this time we hosted Office Hours on the 24th -25th May, where we met with 26 Digital Health startups. I was glad to see the high-tech solutions that they bring to the healthcare system. The commitment from the corporate world also shows that their mindset is changing. A clear example of this is Sanofi, one of our partners, who brought more than 30 startups to present their solutions and connect them with the key players in this sector. The Hall of Tech was like a tech playground! If you wanted to take a break from the panels, the Hall of Tech was featuring the latest innovations that will transform the way we do business and impact our lives, driven by tech giants and hundreds of innovative startups. Some of the other must-sees: Airbus’ self-contained land and air vehicle Pop.Up, Cybedroïd’s Alice robots, immersive virtual reality experiences in the Alibaba VR Park, Valeo’s innovations for drivers and passengers and Jaguar’s electric cars. Sabine VanderLinden adds: “VivaTech Paris is an impressive conference able to gather in one place the digital futures affecting many industries from retail, fashion, banking to insurance combining corporates and startups in one place and making possibilities realities. On Saturday, VivaTech was open to the public in order to give people the possibility to discover the innovations going on, to understand the current trends and to touch, feel and experience the new products. 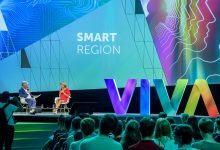 We are thrilled to see what the next Vivatech 2019 will bring to the startup arena!